The most important number in climate science is not 400 ppm or 2ºC. 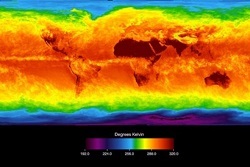 It’s climate sensitivity, the amount of warming we’ll get from doubling CO2 concentrations in the atmosphere. Curiously the IPCC AR5 report declined to give a number. Remember, the base level for the pre-industrioal era is 280pp, so doubling would make that 560ppm. The fourth IPCC report in 2007 estimated that the planet will warm between 2 and 4.5°C warming in response to a doubling of the amount of CO2 in the atmosphere, with a best estimate of 3°C. In the following years a number of studies suggested a lower sensitivity, leading the IPCC’s fifth report of 2013 to extend the range to 1.5°C at the lower end and omit a best estimate entirely. Now a study by Kate Marvel et al has taken a new look at the issue. Here we need to distinguish between TCR (transient climate response), the effect over the first 70 years, and ECS (equilibrium climate response), the effect over centuries. Their best estimate is 1.8°C for TCR and a mean of 3°C for ECM. They separated out some of the main factors – greenhouse gases, natural and manmade aerosols, ozone concentrations, and land use changes – and looked at the effects separately. This is necessary because each has its own conditions and distribution. Greenhouse gases are essentially well-mixed over the planet, for example, but sulphate aerosols from coal-fired power plants are thickest near the point of emission and don’t last very long. They suggest that studies yielding a lower climate sensitivity had overestimated the effects of cooling agents. That’s a simple summary of the story. Other than the article itself you can get increasing levels of complexity at …and Then There’s Physics, at NASA GISS Research News, and at RealClimate. David Biello has a useful post on climate sensitivity at the Scientific American, stressing the uncertainty. Back in June 2014, David Spratt looked at this issue. He referred to a paper by Sherwood, Bony et al. (2014) looking at clouds and atmospheric convective mixing which they found pushes the likely long-term global warming towards the upper end of model ranges. Taking “the available observations at face value,” they write, “implies a most likely climate sensitivity of about 4°C, with a lower limit of about 3°C”. such as the decay of large ice sheets, changes in the carbon cycle (changed efficiency of carbon sinks such as permafrost and methane clathrate stores, as well as biosphere stores such as peatlands and forests), and changes in vegetation coverage and reflectivity (albedo). The measure of these effects for a doubling of CO2 is known as Earth System Sensitivity (ESS), which can play out over millennia. 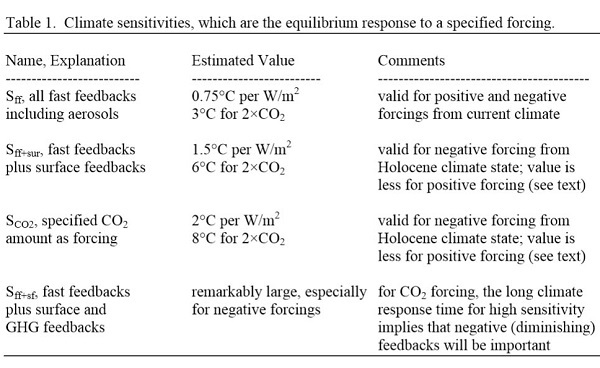 Climate sensitivity under these circumstances is more likely to be around 6°C. The standard assumption is that civilisation as we know it is threatened at 4°C, while 6°C threatens the continuance of homo sapiens as a species. Hansen gives priority to paleoclimate data in looking at the very long term implications of what we are doing. Of course there are uncertainties there also. 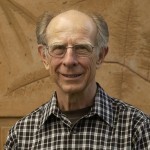 Hansen’s sweep is the last 65 million years, during which the shape of the planet’s surface, the disposition of the continents, the shape of the ocean basin and the ocean currents, have all changed. Of course this introduces new risks. Six degrees? Surfing should be pretty good at Penrith and Ipswich. 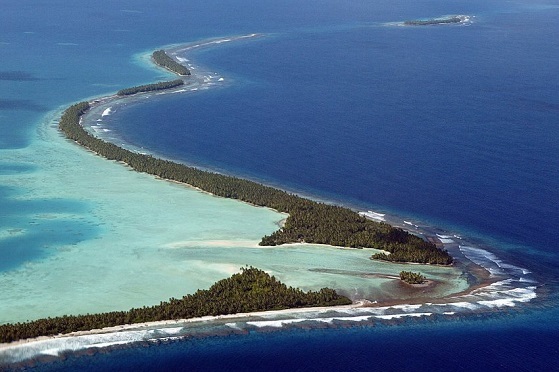 Fishing should be pretty good around the Tuvalu Shoals too. See? It’s not all bad news …. except for those living in the path of rising sea-levels and whatever the new Equatorial climate brings. Give it a few thousand years, of course. We are 7 km from the Brisbane GPO, in the Mt Coot-tha foothills. I think we are about 80 metres above sea level, but at 14 metres the sea comes in the other end of our suburb.